stone from the roadbed. Then I have them positioned on the opposite side of the platform to the grid of stone slabs. 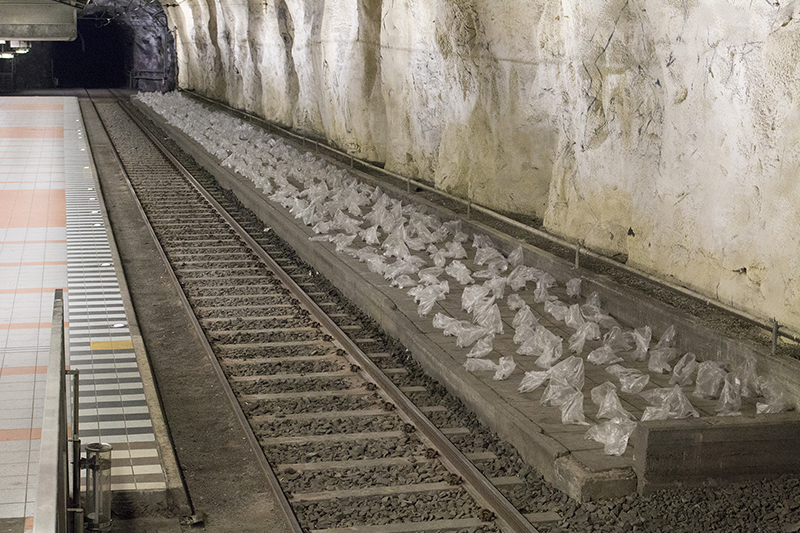 The aim was that the wind of the oncoming trains will move the bags easily and create crackles by the bags. 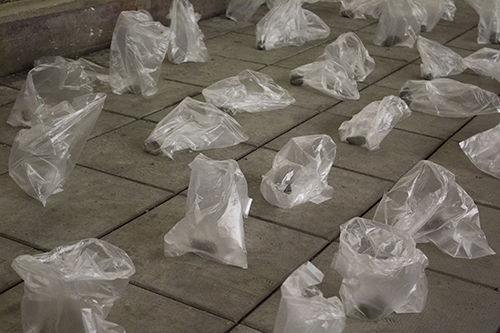 Unfortunately we were asked by the public transport operators therefore to remove the bags again completely. 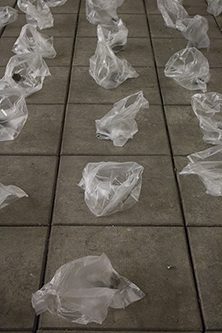 Thus we could not observe the movements of the bags and the sounds of the crackle by the bags.